Pedaitric ophthalmology deals with treatment of eye diseases in children. Proper evaluation and correct management of children's eye problems is critical to their normal development. Squint is a condition where the two eyes are not aligned witth each other and look in different directions.It may hamper cosmesis, vision and depth perception. Early and appropriate treatment is necessary for good outcomes. Neuro-ophthalmology deals with problems related to the optic nerve, cranial nerves and brain. It is a highly specialized field which deals with sight and sometimes life-threatening diseases. Glaucoma is a progressive, often blinding, disease which damages the optic nerve generally due to high eye pressure. Timely diagnosis and treatment is the key to preserving vision. 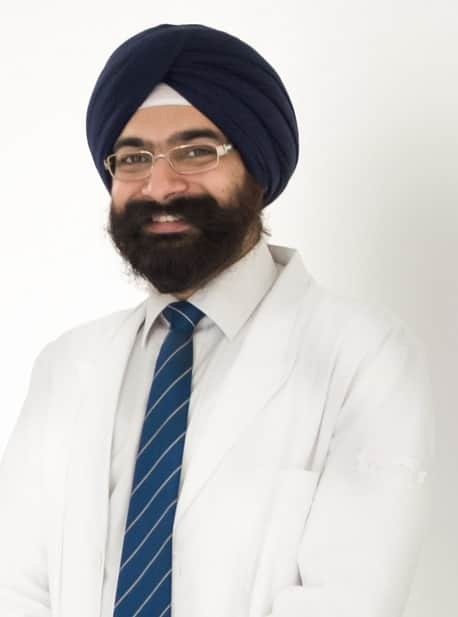 Dr. Digvijay Singh is an ophthalmologist (eye specialist) specializing in Paediatric ophthalmology, Strabismus (Squint), Glaucoma and Neuro-ophthalmology. He trained at the coveted All India Institute of Medical Sciences, New Delhi, where he spent around 12 years. He was a consultant at Medanta-The Medicity where he practiced for 3.5 years before moving onto create his own ophthalmic specialty centre, Noble Eye care. He has been a faculty at national and international conferences and has delivered various instruction courses in his fields of specialization. With over 70 publications, chapters and a book to his credit, Dr. Digvijay Singh has contributed significantly to ophthalmic science. On the clinical and surgical front, he has a rich experience in strabismus diagnosis and surgeries and has operated all forms of squints using both conventional and more advanced contemporary techniques. He is a super specialist paediatric ophthalmologist in Gurgaon and his centre, Noble Eye Care is the best eye clinic in Gurgaon for providing comprehensive eye care for children. He is a super-specialist neuro-ophthalmologist and has managed several thousand patients with diseases of the optic nerve and brain. He has received specialist training in glaucoma and is adept in various forms of glaucoma surgeries. Keeping up to date with the latest developments in the field of ophthalmology, Dr Digvijay Singh is considered one of the best eye doctors in Gurgaon and is trusted by his patients to provide evidence based treatment in an ethical manner. Dr Digvijay, It was a great pleasure interacting with you today. Your humility inspired us iImmensely.. The way Dr. Digvijay communicates with the patient is outstanding. Keep up the great work. My eye has glaucoma and due to that I have lost a lot of vision. I was taking many eyedrops earlier but still eye pressure was high. I had glaucoma surgery done by Dr Digvijay and now I do not need many medications. Thank you very much Dr. Singh for successful surgery of my kid. I had visited many doctors earlier for my daughter's squint problem but was not satisfied. I was refered to Dr Digvijay by a friend and I am so thankful for that. He explained everything very clearly and advised special glasses so she does not need surgery now. I visited Dr Digvijay with my daughter who has lost vision after undergoing treatment for cure of her brain tumor. He explained everything to us and has given us some confidence by helping her manage with the low vision. I am very glad I brought my child to you for treatment. He is seeing much better now and school work has remarkably inmproved. My child had a squint since birth. I got him operated at the age of 2 years by Dr Singh. Today after 4 years of surgery, there is no squint and even the powerof glasses has come done. Thank You. Is refractive error on the rise?